Did you know that student performance in North Carolina charter schools is increasingly falling behind traditional public schools? Probably not. After all, that message was absent from state charter office Director Dave Machado’s presentation to the Board last week, nor will you find it in the related Charter Schools Annual Report submitted to the General Assembly by the N.C. Department of Public Instruction. 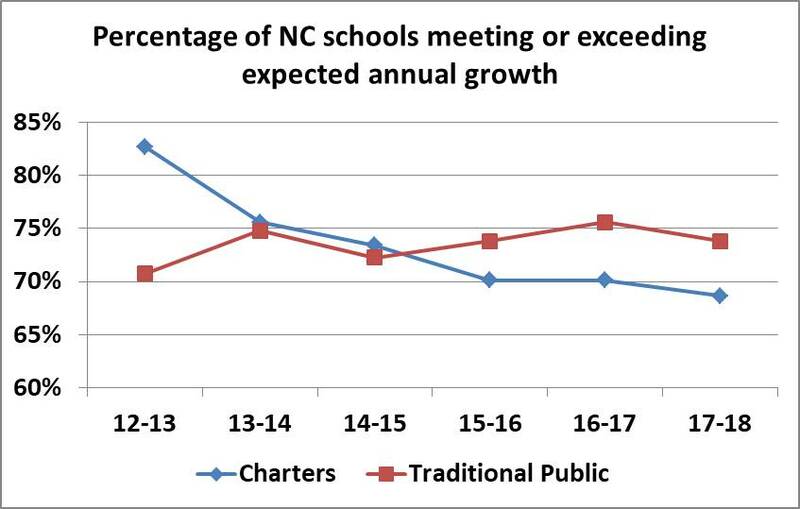 Yet charter school performance is increasingly lagging the performance of North Carolina’s traditional public schools. And the percentage of charter schools meeting or exceeding annual school growth is increasingly falling behind traditional public schools. One would assume this information would be front and center in any discussion on performance of charter schools. After all, state law requires DPI’s charter school report to highlight charters’ impact on student performance. Yet there was no discussion at this week’s State Board meeting of this concerning trend. Instead, Machado’s presentation provided a deceptive, overly-rosy slant on charter school performance. Rather than focusing on charter schools’ disappointing student growth, Machado spent seven slides focused on differences in charter and traditional school achievement levels. Such a presentation is knowingly deceptive though. Achievement is highly correlated with socio-economic status, and North Carolina’s population of charter students is – on average – more affluent than their traditional school peers. Machado’s slides tell us more about what types of students are being taught in charter schools, rather than telling us how good of a job charters are doing educating those students. Student growth offers a more accurate point of comparison for charter and traditional schools. School growth scores take into account incoming students’ level of academic preparedness to allow apples-to-apples comparisons of how much learning is taking place in different schools. By incorporating prior performance, student growth is the best available measure for taking into account the different demographics of charter and traditional school students. It’s not surprising that DPI leaders are underplaying charter schools’ disappointing performance. Until three years ago, the Charter Schools Annual Report was little noticed, often flying under the public radar. That changed in 2016, however, when Lt. Governor Dan Forest lambasted DPI staff for presenting a report that “did not have a lot of positive things to say” about charter schools. The lieutenant governor’s message has clearly been heeded by present-day leadership. Unfortunately, suppressing negative information on charters allows policymakers to avoid any reflection on how their policy decisions may be negatively impacting the performance of students in charter schools. 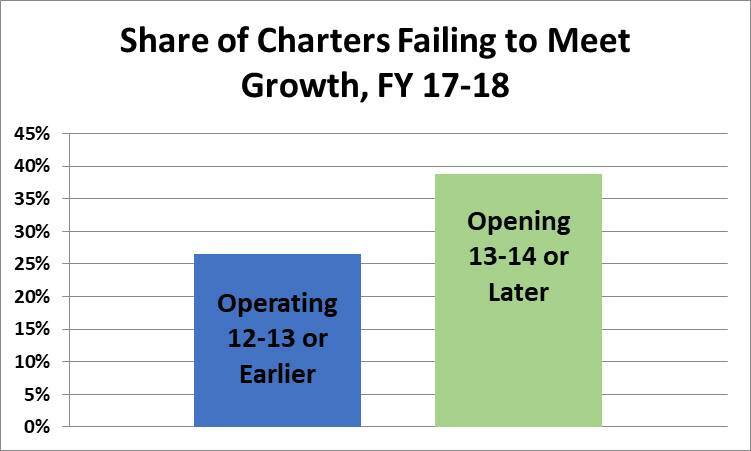 A deeper dive into charter school growth scores reveals that the poor performance of charters is largely being driven by schools operating for five years or less. 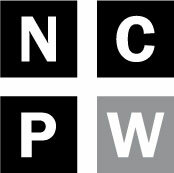 Poor performance of recently-created charter schools is the foreseeable consequence of unfettered charter growth, the weakening of charter approval and oversight, and cuts to DPI that left the agency unable to provide schools (both charter and traditional) with needed technical assistance. Not coincidentally, these policy changes have all been supported by Lt. Governor Forest. If the Charter Schools Annual Report weren’t written under political pressure to be so positive, Forest might actually be forced to confront some of his policy decisions — decisions that we can now see are increasingly leaving students under-served in North Carolina’s charters.